I read a quote emailed to me the other day which stated, "Believe that you're amazing". It was in that moment of reading it that I realized the level of our belief matches our level of greatness. A million people can think you're amazing but if you don't believe it, that amazing wow factor will never manifest itself in your life. God has told us who we are through this Word but do we believe it? 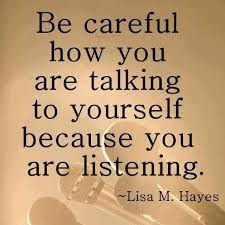 Allowing what God says about you to seep into your spirit, will then change what you say about yourself! Once your speech changes your belief will follow! Tell yourself you're amazing! - Believe It! Tell yourself you're great! - Believe it! Tell yourself you're awesome! - Believe It! Tell yourself what God says about you!!! - Believe It!!!! Why? Because God operates off of what we believe. In the ninth chapter of Matthew, Jesus encounters two blind men who asked for healing. Jesus then asked them a simple question, "Do you believe that I am able to do this?" Ah! What a question! The blind men replied, "Yes, Lord" and Jesus said, "According to your faith let it be to you" and their eyes were opened. Jesus questioned their belief because your belief speaks to your level of faith. At the end of the day, the question is never can God do it, of course He can! The question is do you believe that He can do it, whatever that 'it' is for you. Lord help us in our unbelief and help us to be mindful of what we say to ourselves. Talking negative to yourself? Girrrl Stop! Doubting what God says in His Word? Girrrl Stop! There is greatness in you - Believe it! "What's in between your ears is your pathway or hindrance to greatness - the choice is yours"